Potluck, the social network created by Branch for link sharing and discussion, has been completely redesigned. 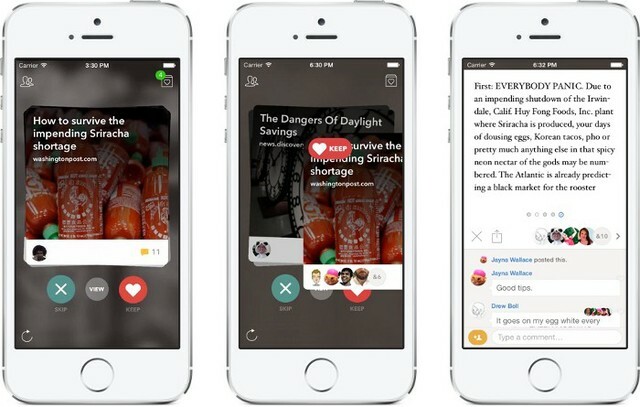 Potluck 2.0 is an iPhone app that presents users with “Snacks” — swipeable cards with summaries of curated news stories — that users can comment on to have an intimate discussion with friends. Libby Brittain explained some of the changes in a post on Medium. The redesigned app is available to download from the iTunes App Store, and can also be accessed on the web.